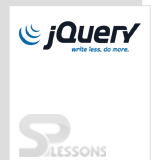 jQuery Application chapter gives an idea on how to create a basic application using jQuery. Wait until document ready event which is a handling function has fired before fully enhancing the elements of DOM. Select the HTML elements of document to modify. Traverse the selected elements of the document. Add the event handling functions like click, mouseover etc. Modify the selected HTML elements attributes and CSS styles. //wait until document ready event has fired. //select the HTML element with 'div' tag. //Traverse to 'p' element inside 'div' tag. //Add the click event handler on selected 'p' element. //Modify the attributes and CSS styles of 'p' element. In the above jQuery example the “p” is a jQuery selector that selects all the paragraphs. 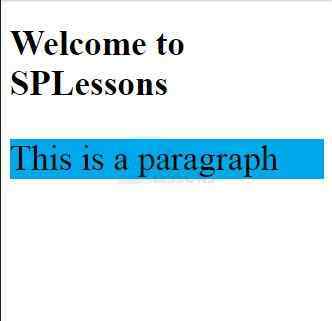 The paragraph text in the example above is given color automatically when the document is ready and performs some the action when the user clicks on the paragraph text. jQuery Application draws out the following important points. Include jQuery library in the <script> in HTML head section.